MSI/FUNTORO is the world’s leading brand of commercial vehicle solutions for bus & coach, truck & fleet, logistic and specialty vehicles. 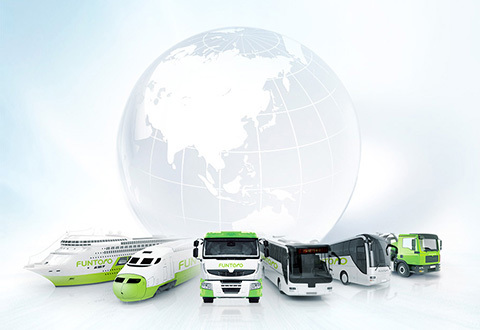 With core technology and expertise in the development and production of automotive solutions, FUNTORO is Tier 1 supplier of global OE manufacturers through partnership with major car makers including Mercedes-Benz, VOLVO, MAN, SCANIA and IRIZAR. Products designed with the idea of people-oriented, our mission is to bring people a safer, smarter and comfortable life through our intelligent and connected solutions. Our vision is to be the most desired and successful Infotainment and Telematics Solution Provider in the world. FUNTORO follows the business concept of “Excellent Product, Superior Quality, Perfect Service, & Customer Satisfaction”. Our goal is to create customers’ confidence and bring in high benefit from innovate developing, designing, and manufacturing. FUNTORO also participate on improving environmental protection, occupational safety and health activities to demonstrate our social responsibilities. We therefore establish a management system to continuously improve environmental, safety & health performance. 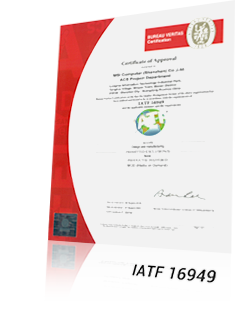 What are the benefits of certification to IATF16949?